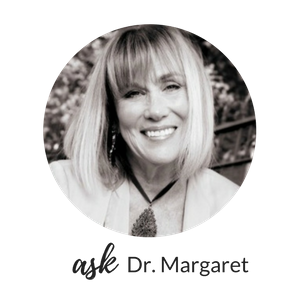 I encourage folks to write in and “Ask Dr. Margaret” questions. The only other fact Lana told me was that most of her family lives thousands of miles away. So she is on her own, for the first time in around 27 or 28 years. More than half of her life. Get closure on one relationship before you begin another. There is a reason why relationships don’t work. You have to have time to figure that out. To understand what your part of the problem was. So that you won’t make that mistake again. Did you get lost in the relationship? Were you too angry? Not assertive enough? Were there control issues? Trust problems? What is the work for you to do as you leave? Lana may be considering dating before she has really gotten this kind of closure and understanding ( “I am ending a 4 year relationship”…. “the thought of dating….“). The few words she has written might even indicate this is a pattern (“… am ending a relationship that began the last year of my marriage“). This piece of advice – to wait – is probably the least followed of any that I give to people. I didn’t follow it myself one time. 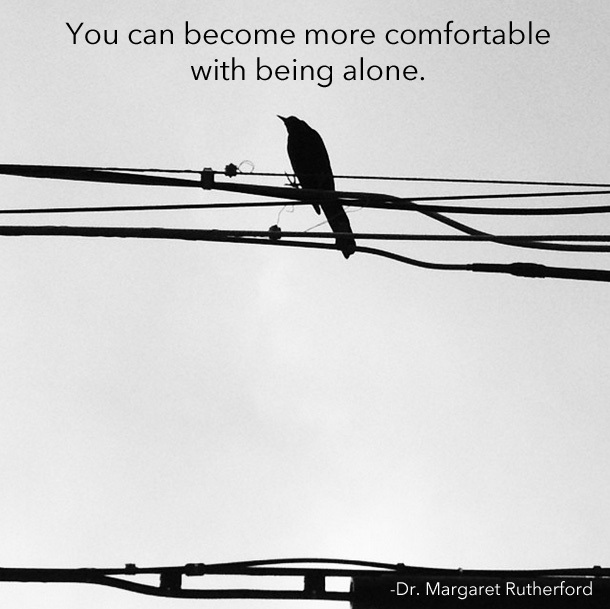 People are frightened of being alone. They are hurt because of one relationship ending, and need comfort. When you are older, you may tend to rationalize that “time is of the essence”. My thought? If you don’t wait -at least a little while – that time will be wasted. 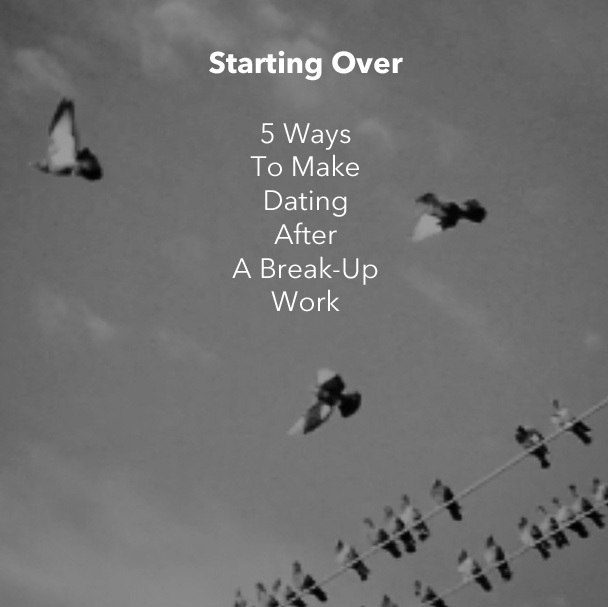 2) Realize dating is messy. It’s a learning process. You go out on a few dates with someone for fun. They get really into you. You don’t. You are going to have that not so fun conversation. Or they might have to have it with you. If the shoe is on the other foot. It’s messy. Uncomfortable. Hard to hurt someone’s feelings. Hard to risk being hurt. That’s the dread part Lana is talking about. I remember Brett. First guy I dated after marriage #2. 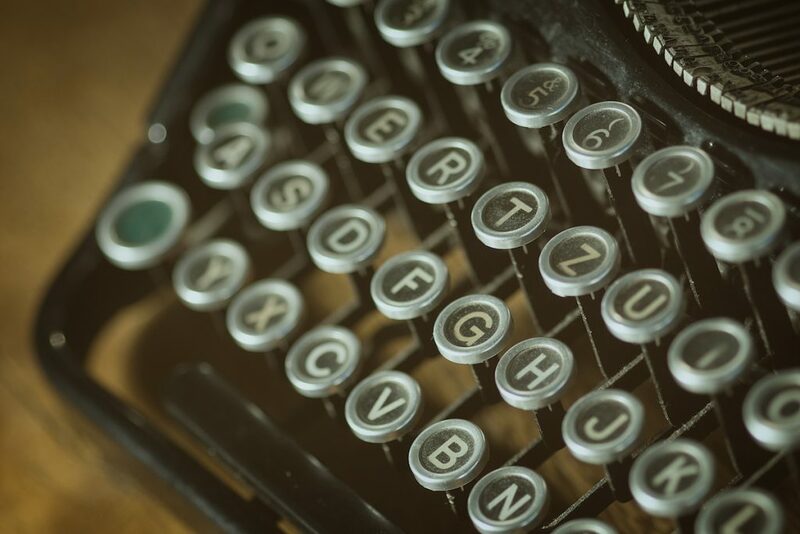 Three whirlwind weeks. We worked together at Parkland Hospital in Dallas. He was great. I was hooked. He ditched me. I wandered around the hospital like a drenched cat. Brett was no where to be seen. He switched shifts. I licked my extremely bruised ego for months after that. Took time before I risked again. What I learned. I had to become more comfortable with being alone. 3) Focus on yourself instead of on the dating. Make your life what it needs to be. “Well that’s easy for you to say. You are married and have somebody…”. Anyone single and lonely might want to shout that at me right now. I still believe it. I believe that if you focus on making your own life as happy and full as possible, you are very likely to attract someone who wants… guess what? A man or a woman who is happy and content with their life. Maybe you won’t attract a savior. Or a control freak. Or a Brett. That doesn’t mean you quit Match or EHarmony. That doesn’t mean you don’t go out on dates. Or talk to your friends about potential people about there. It’s just about what you focus on. It’s the only thing you really have control over. Your own choices. You keep open. Keep positive. You won’t dread your life. 4) When you do date, listen to how that person talks about their past relationships. How someone talks about their past is how they are going to think and talk about you. If they blame their ex for all the problems in their marriage. If they attribute never having committed to a relationship to having “needy girlfriends” or “”guys that were all about themselves”. That’s how eventually they will think about you. You need to listen for what they have learned from their years of relating. About themselves. For example, a recent study showed that cheaters will tend to cheat again. Perhaps they are far less likely to stray if they were truly remorseful and did something with it. Now you are making sure the other person has followed the same process you have! 5) Just don’t ignore that thing that you really want to ignore because you are in lust-love. Just don’t. Like he drinks too much. Or she hasn’t paid her taxes in 3 years. Or he never got that annulment. Whatever. So head out there! Don’t settle. It’s supposed to feel like it did when you were 17. Or at least it will for a little while. Just keep your head attached. Please send this on if you enjoyed! Maybe to someone out there who is trying to begin to date again! Would love comments and questions! Either below or to askdrmargaret@146.66.99.73. And SUBSCRIBE! That helps me know how many people are truly interested in me continuing to post. As always, thank you for reading.